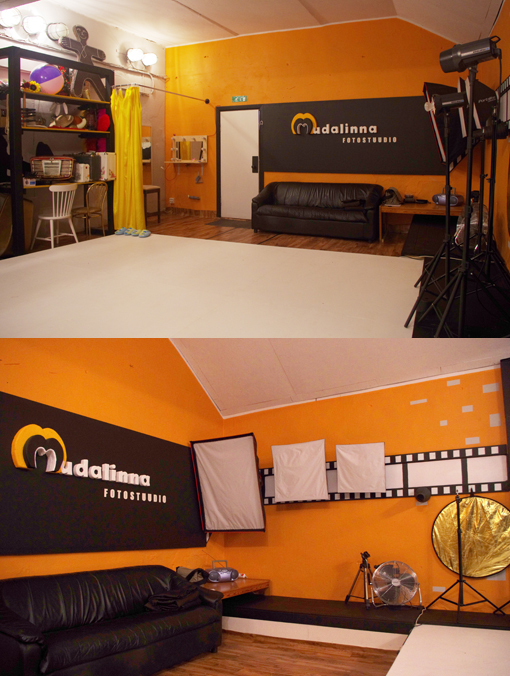 Small and cosy photo studio in Haapsalu. About 40 m2 in size. Suitable for small scale photo projects. 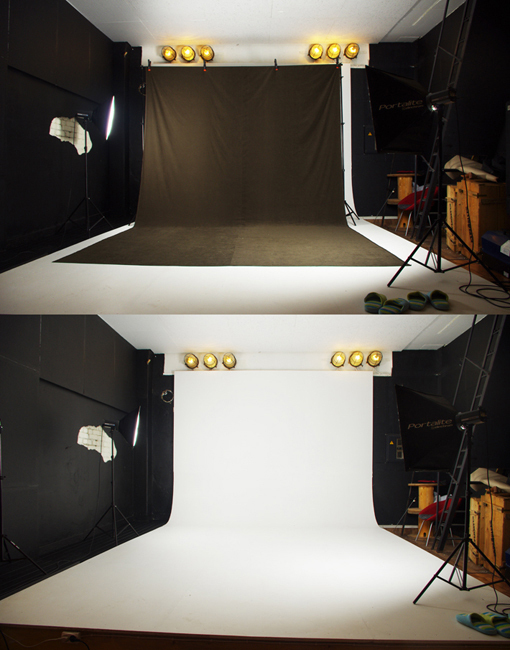 Studio photoshooting area consists of black walls and white floor area, white background (with curved corner between floor and background) and with white high ceiling. Backstage area has orange and light grey walls, cosy leather sofa and a table. There’s also a large shelf for different props and accessories. Also a dressing corner with makeup section can be found in my studio.